Better known as “Chinatown” of Manila, Binondo has so many things to offer, which may not be known to many, most especially to non-Chinese people. What you might not know is the fact that Binondo is the oldest Chinatown in the world, as it was established in 1594. Since then, it has been the center of trade and commerce for the Filipino-Chinese community. 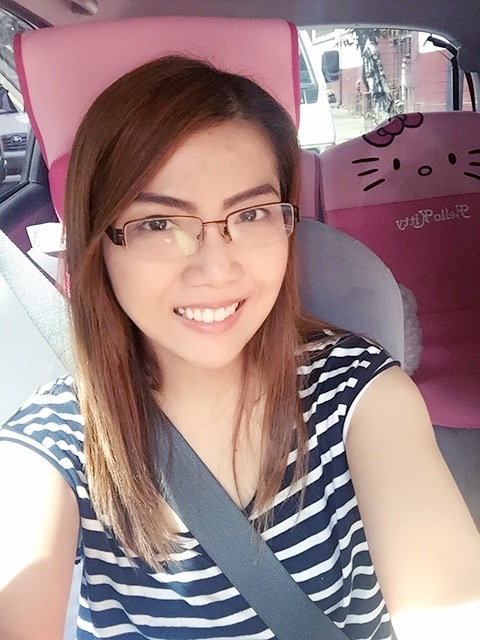 I must admit that I am not really a Binondo person. Although I’ve had a couple of Filipino-Chinese friends from this district, I haven’t really gone around it and I still consider myself a Chinatown-newbie. While I have visited Divisoria for a couple of times before, this is actually the first time I have explored Binondo. Let me share with you a couple of my discoveries in this quick tour. 1. Lucky Chinatown Mall is both a good and bad idea. It’s good to finally have an upscale mall and a secure parking space in Chinatown; however, getting out of the parking building from the topmost floor could take up to 2 hours most especially during rush hour. Sometimes, taking public transportation could be a better idea. 2. 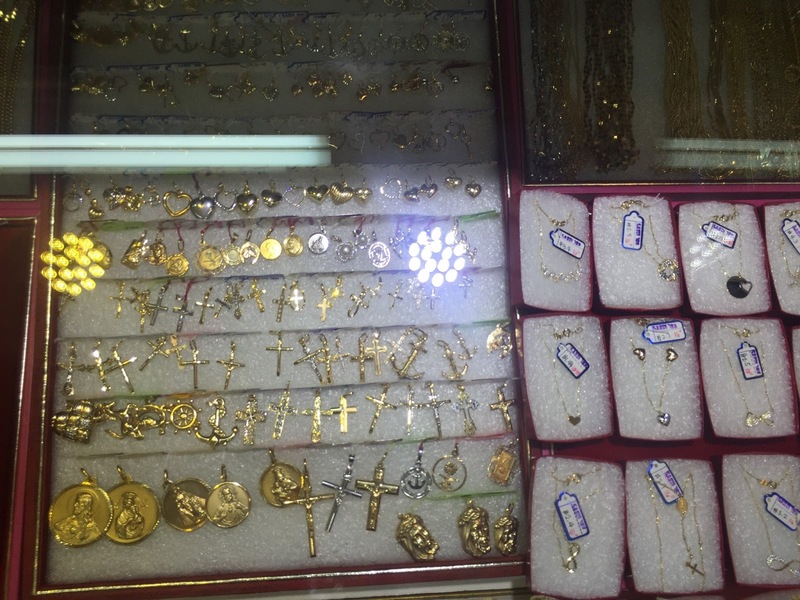 Chinatown Gold Center is like a gold mine! I’ve never seen that much authentic gold in my life, all in one place. There, they sell different karats of gold jewelries, which come from multiple countries – Saudi gold, Russian diamond, etc. – and they are selling it like a commodity. One can buy a simple 18K golden ring at around Php 3,500 or a small 18K golden pendant at Php 1,500. I have also learned that they have online sellers for those who cannot personally visit Chinatown; but I suggest you do because there are a lot of pretty items there to choose from. 3. Authentic yet cheap Chinese food are just within the streets of Binondo. 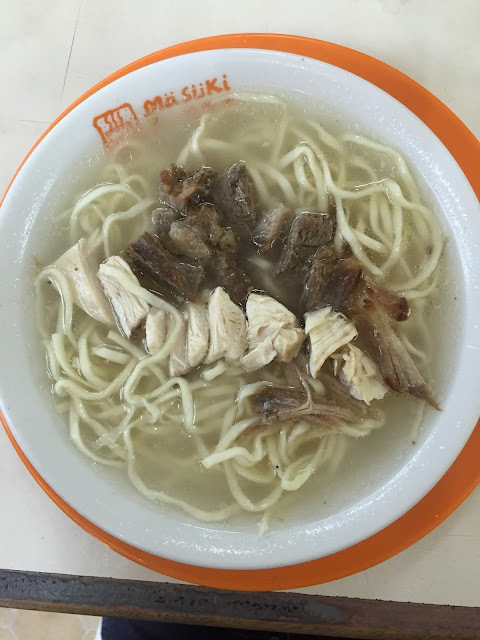 I have tried the Original Chicken Mami from the famous Masuki Mami House in Benavidez Street and it’s probably not the best mami I’ve tasted but it’s equally good. 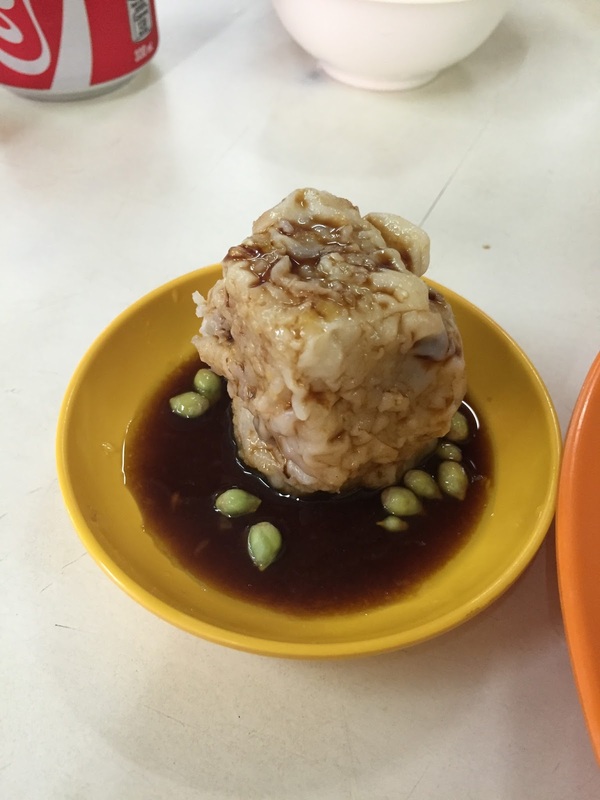 I actually like their siomai more. Don’t be surprised if it’s priced at Php 35 per piece because it is actually big and tasty. 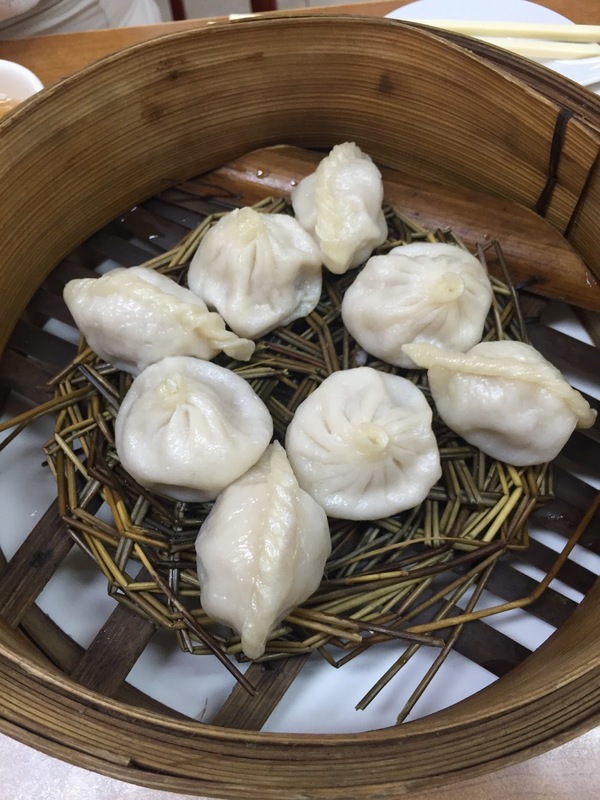 To satisfy my xiao long bao and hakaw cravings, I headed to Ongbin Golden Dimsum in Dasmariñas Street, as advised by a Fil-Chi friend. And good news, their food did not disappoint! I also passed by the oldest standing restaurant in Binondo, the New Toho Food Center, established in 1888, which can be found along T. Pinpin Street. I was too full to give it a try so you better go try it yourself to know why it has been there for more than 100 years already. 4. Attract good luck with Binondo’s lucky charms. 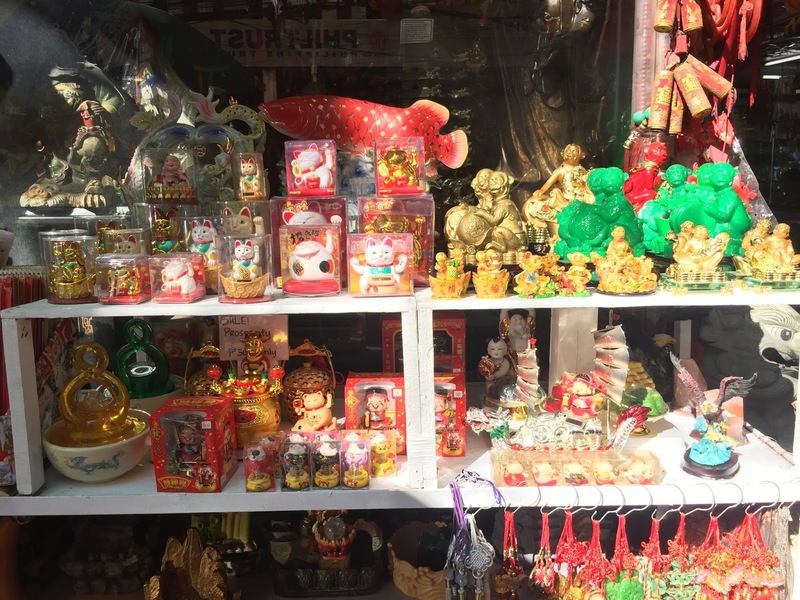 There are a couple of shops selling lucky charms, from small trinkets to huge Buddha statues. Their peak season is around January as people prepare for the Chinese New Year. They also share some forecasts for the incoming year so you would know which stuff to buy. 2016 is the Year of the Fire Monkey, and if you want to know which lucky charm would best fit you, visit these shops in Chinatown. 5. Whatever you could think of buying can be found in Binondo. From gift items to furniture to clothing, you can all find them there, and at a way cheaper price. You can also avail of wholesale prices, and this would benefit you most especially if you plan to resell these items because people would usually pay for convenience. 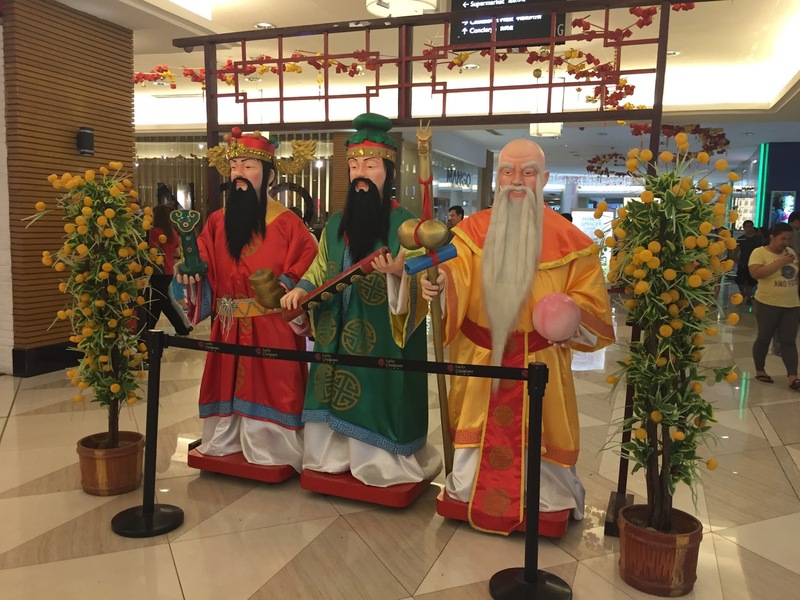 There are a lot of good finds in 168 Mall, 11/88 Mall, and 999 Mall, or just by the side walks and other shops within the streets of Binondo such as the Ongpin Street. Just don’t forget to haggle and enjoy shopping! Just a few tips for you to be more comfortable and safe while touring Binondo: wear simple clothing and flat shoes, and do away with jewelries and branded accessories. Better to have someone with you and refrain from using your mobile phone. And those have been my discoveries. Now it’s time for you to discover these “not-so-hidden” secrets of Binondo I have shared, and go find out more! Travel Tokyo on a Budget!